I wanted to try out some chia pudding, and we also had some cashew milk I wanted to use up, so I decided to make a chia pudding with cashew milk. 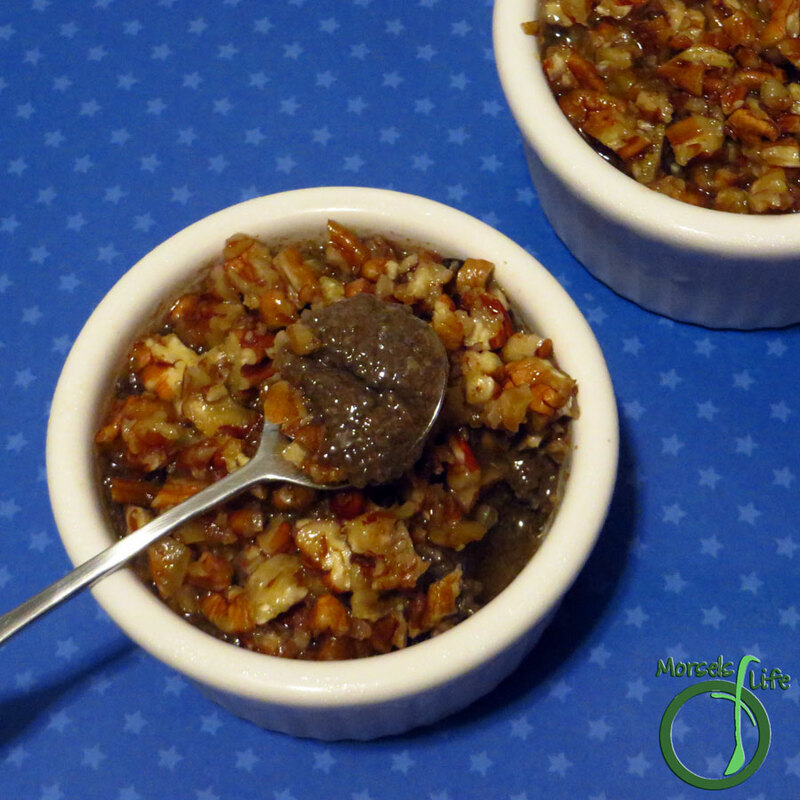 We also had some pecans around, and I do like Pecan Pie, so why not make something similar? Sounds like a good idea to me! 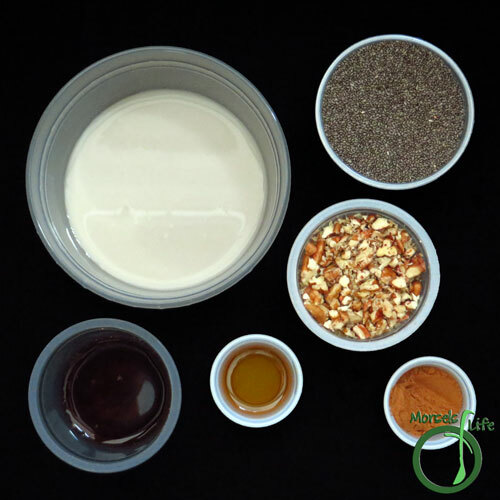 Just mix together most of the ingredients, place the mixture into your serving container, and spoon some of the sweet pecan mixture on top. 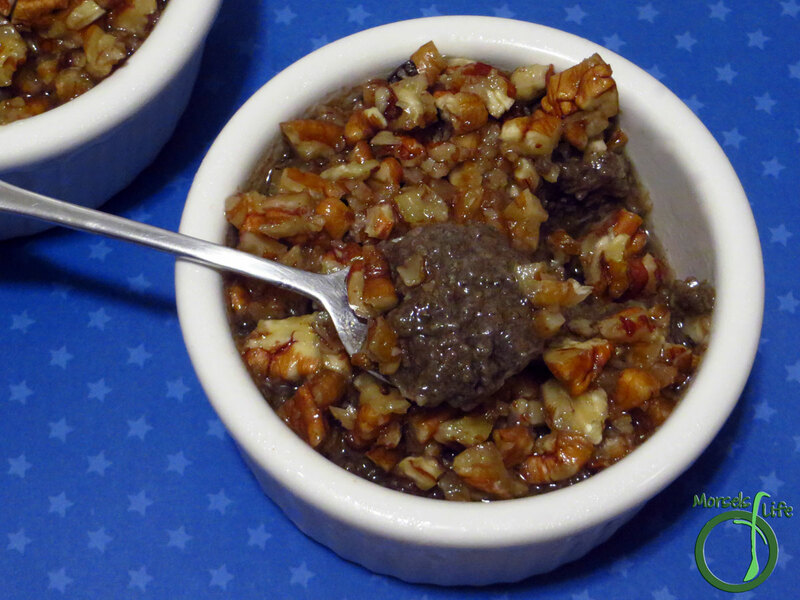 We refrigerated and enjoyed these pecan pie chia puddings the next day to really let the chia seeds hydrate. Enjoy! Do you prefer dairy milk or nut milks? 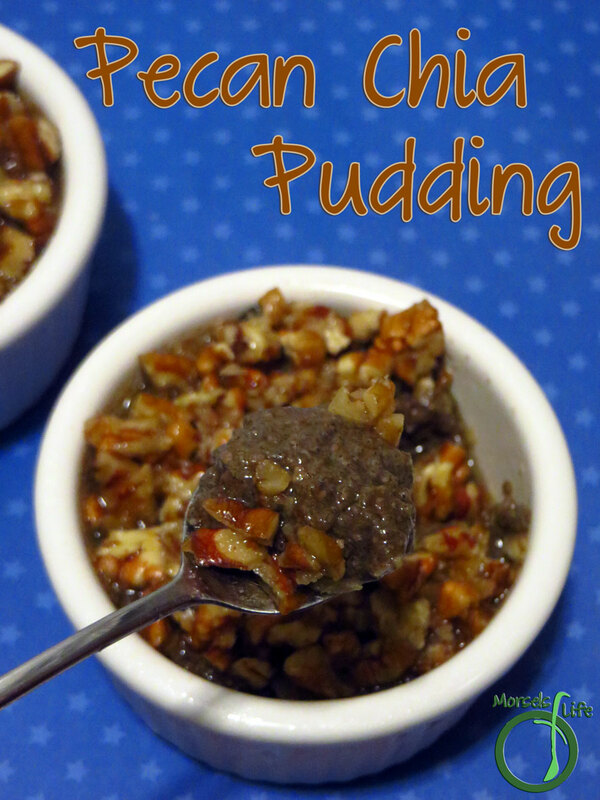 A lightly sweetened chia pudding with a sticky pecan topping - perfect as a dessert and healthy enough for breakfast! 2. 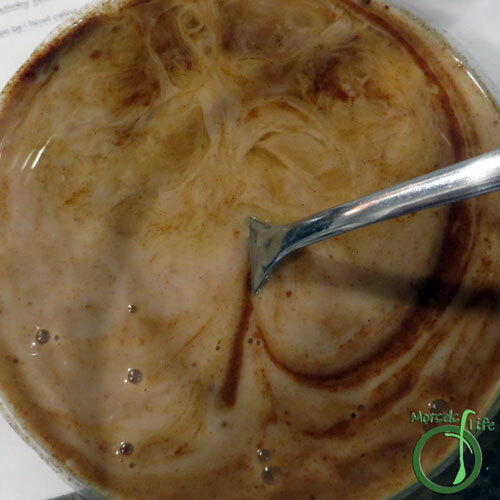 Stir together cashew milk, cinnamon, vanilla extract, and 2 tablespoons maple syrup. 3. Stir in chia seeds. 4. 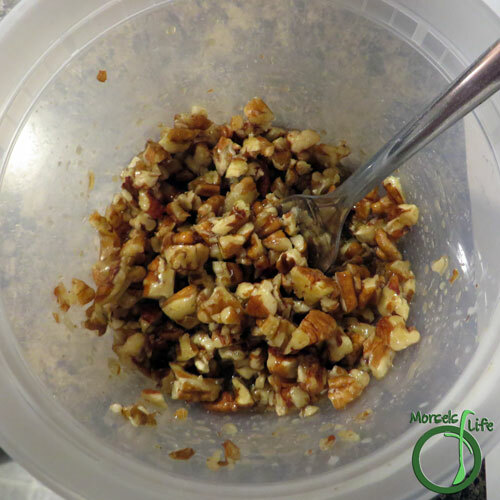 Coat chopped pecans with remaining maple syrup. 5. 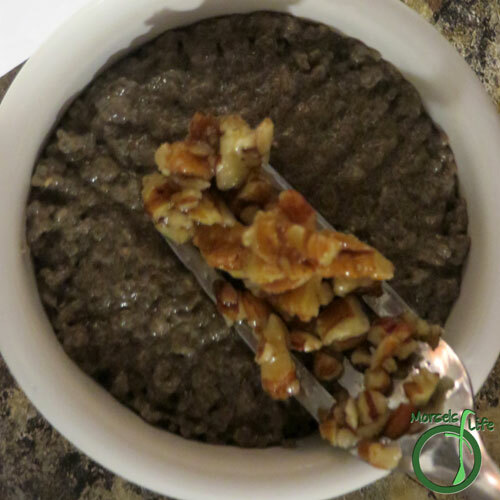 Transfer chia mixture into serving containers and spoon (or fork if you're like me and don't want to wash another spoon) pecan mixture on top. 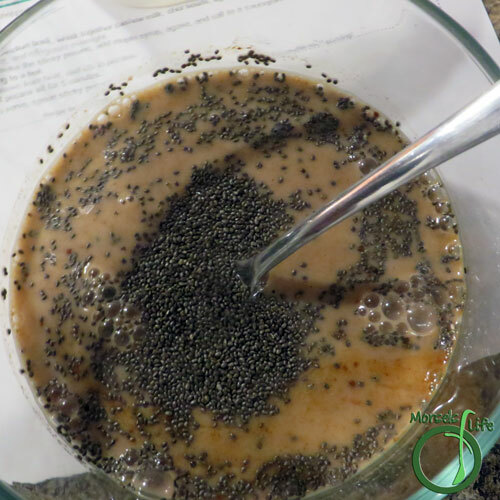 Serve, or refrigerate to allow chia seeds to more fully hydrate. I've just started eating chia seeds so looking for some recipes. This is a perfect one to try especially as a dessert. Thanks for sharing with us at #AnythingGoes. Looks great! Thank you for sharing at the Recipe Swap.